Following the success of Spiked Tea 2011, Mercer Union once again hosts the time-honoured ritual of high tea… with a contemporary twist! Engage in lively conversation with prominent Toronto artists as they host tables they have designed specially for the occasion. Enjoy our elegantly eclectic portfolio of teas with special cocktail accompaniments and assorted delicacies – a menu of scrumptious finger sandwiches and freshly baked pastries by local culinary creatives awaits! 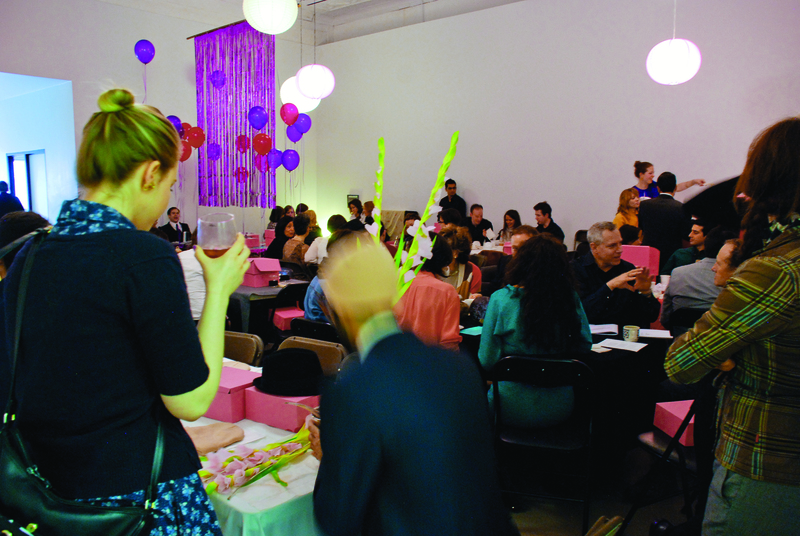 Bring your closest friends for some artful hobnobbing and fun-filled table hopping. Pinkies up! Sponsor an artist table for $1000 and get steeped with 6 of your closest friends! Sponsors receive recognition and a tax receipt for a portion of their contribution. Contact York Lethbridge, Director of Operations & Development, at york@mercerunion.org for more information.